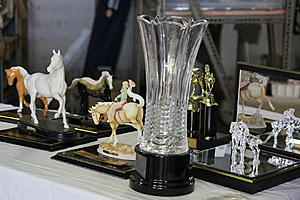 Equestrian Activity by way of prizes and awards”. 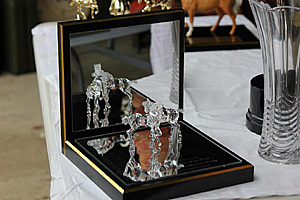 One of the objects for which the company was established is to “reward excellence in any Equestrian Activity by way of prizes and awards”. Our Awards Catalogue lists the Awards that are available for members. The Awards Catalogue encompasses Federal (National) Awards for Dilutes, Ancillaries and Broken Coloured Dilutes. Dilutes Australia Ltd is proud to offer a broad range of prestigious Awards at National, Branch, State and Promotional Group levels. All financial members are eligible to enter these Awards. Awards nomination forms are available for downloading further down this page from the Forms page. ACT & New South Wales - not currently available through this site. Contact ACT/NSW Branch. Tasmania - not currently available through this site. Contact Tasmanian Branch. All awards (national, state, promotional group) are nominated for by using the relevant Awards nomination form above. The nomination form is sent to the appropriate addresses as specified on the form. ALL awards require a Points Book to be used for the collection of points; these are available by using the Order Form or by including it on the awards nomination form. Annual awards run from August 1st to July 31st each calendar year. Eligibility to show and participate in our annual awards is available to you as a member for the price of your annual membership fee plus the initial one-off registration fees for your horse. Awards listed in the National Awards catalogue are administered by the Board. These include our annual Horse of the Year awards. Each branch of Dilutes Australia Ltd runs and administers their own branch level awards. The Head Office provides Awards in Victoria and administers them. These include our Diamond, Sapphire, Amber & Prism awards. Promotion Group Awards are administered by the Promotion Groups. The owners of all registered dilutes, non solid dilutes, ancillaries and non colour compliant dilutes must be current financial members of the Company. Should an owner cease to be a financial member, the registration of all horses registered in his or her name will be suspended until such time as said owner rejoins the association, at which time the registration of all horses registered in his or her name will be reinstated. The company runs the following life time achievement awards which recognise excellence in achievement across a number of disciplines.